Disifin disinfecting powder for surface disinfection and Infection control for use in saunas, solariums, gyms, Sport Centres, kitchens, sanitary facilities, Air condition units & dishwashers. Public exercise facilities are in constant use, the resulting damp environment accelerates the growth of microorganisms, bacteria, fungi and viruses, potentially leading to infections. Disifin provides complete hygienic cleansing that is required for such activity-based areas. Sanitary areas provide an ideal medium for microbial growth. 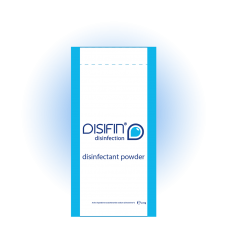 Here, Disifin proves to be an especially efficient disinfectant agent, which destroys not only bacteria, fungi, viruses and microorganisms, but also removes odours. Disifin simplifies the disinfecting process by rinsing with clear water and leaving no residues. 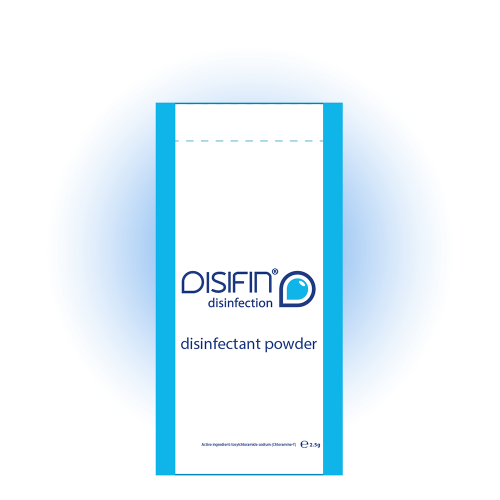 One of the outstanding characteristics of Disifin is its long-lasting stability in damp environments, remaining fully effective even days after disinfecting. Disifin masters this task with spectacular effect, resulting in a safe and complete destruction of all microorganisms. Disifin disinfecting powder for surface disinfection and Infection control for use in saunas, solari..